Aloe Vera extract gives this scrub its glossy rich consistency that glides on and takes off any dirt and residue from the day. Meanwhile, hand crushed argan and jojoba nuts provide a polishing grit that sloughs away dead skin cells immediately—leaving skin feeling softer, smoother and brighter than before. It's the perfect way to clean and prep skin for whatever potent serums, oils or creams follow in your daily routine. Splash a bit of water on face then emulsify a small dollop with finger tips and massage into skin in a gentle circular motion. Scrub continuously for at least 30 seconds all over your complexion—don't forget the neck, jawline, and hair line area. Rinse off with warm water and apply your toner, serum or face oil of choice. *Especially waterproof makeup, try using a cleansing oil or coconut oil first, then use this face scrub for a feeling of total, polished clean. 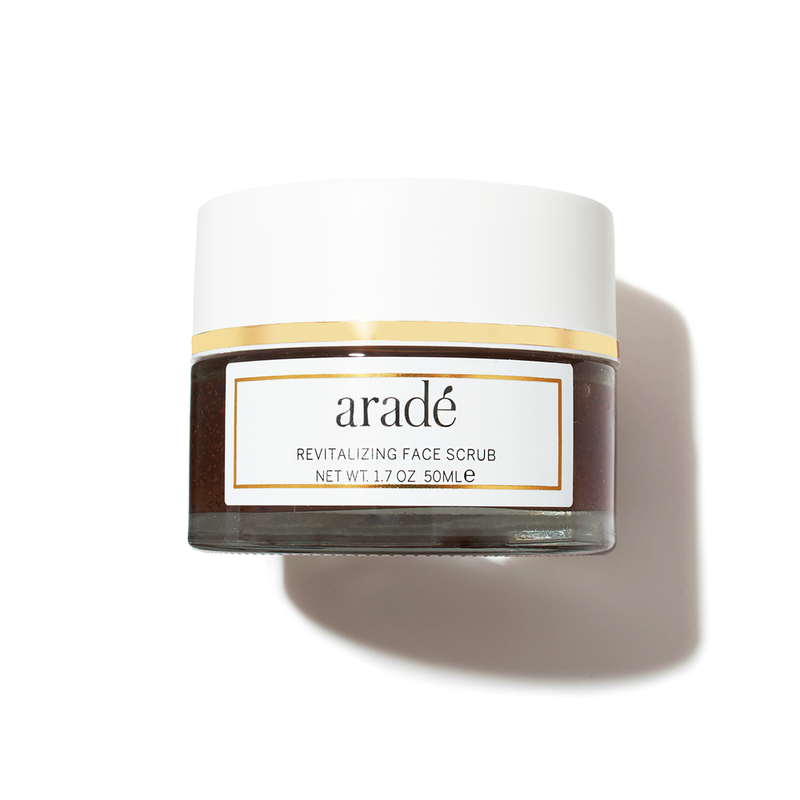 Hand crushed Argan & Jojoba Nuts—Exfoliate skin like nothing else. "I’ve used the scrub several times, and it leaves my skin feeling so soft and smooth. I’ve recommended it to everyone I know." "
"This is a nice gel-based scrub and it wasn't my favorite product simply because I like cream scrubs better. You can't ignore the good-for-you and simple products that make up this scrub. Also, it moisturizes the skin and doesn't strip your face...AKA no tight feeling when you dry off." "
1 textbook to the children in the Argan collectives in South East Morocco.